Sony's John Koller thinks customers are sick of sales. So there's a new, slimmer PS3 looming on the horizon. Usually when a new console variant hits the market, the old models drop in price to keep them competitive. That isn't happening with the PS3, at least not officially. The PS3 Slim-er comes in two variants, 250GB for $270 and 500GB for $300. The older 160GB and 320GB models will still cost you $250 and $300 respectively, essentially pricing the upper-end model out of the market. Weird. According to John Koller, Sony Computer Entertainment America VP of marketing, handhelds and home consoles, customers are just sick of all those confusing price drops and sales. "There's no price drop formally," he told Engadget. "But the thing that's been happening in the market over the last year or so is that there's been so many retail price promotions, and so many different gift card offers and all those things, being done by all of us [Microsoft, Nintendo and Sony], that we've heard from our consumer, 'Enough with all these weird price moves. What we really want is content and games and value.'" Of course, no "formal price drop" doesn't mean no price drops at all, it just means Sony isn't willing to eat the cost of the discounts. Retailers, on the other hand, probably won't be too keen on having a collection of aging, obese consoles clogging up their shelves, so larger stores will probably start either dropping prices or selling makeshift bundles. Sony has traditionally made big bank on its slim console re-releases. Both the PSOne and the PS2 slim helped drive sales, even during the twilight years of the consoles' lifespans. 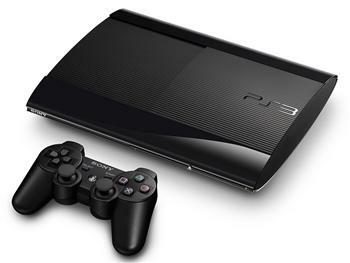 The PS3 was remodeled somewhat earlier in its lifespan compared to its predecessors, but the first slim model of the console boosted sales by over 1000% during its first week on the market.